The Atlantic 25" Debut Expandable Upright is incredible in style having a unique 4-piece collection, lightweight design and protection for possessions. Debut’s stylish case resists abrasion and is built to absorb shock during every day travel. The two- compartment design allows for greater packing flexibility and travel ease. This bag is suitable for international travel. Debut features a 25 inch a handy Rolling Tote. The Debut 25" - Turquoise has many exciting features for users of all types. See the Debut 25" - Turquoise gallery images above for more product views. 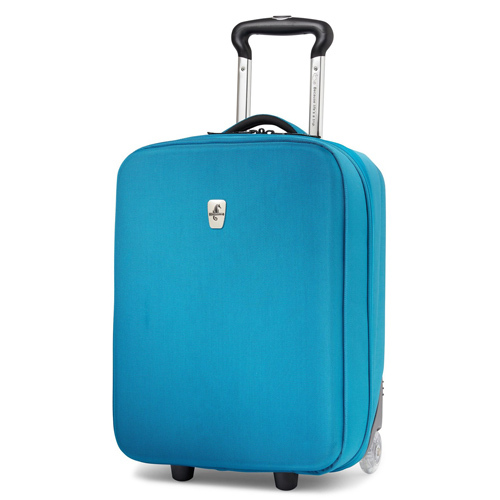 FactoryOutletStore stocks a full line of accessories like 20 Inch Luggage and 28 Inch Luggage for the Debut 25" - Turquoise. The Debut 25" - Turquoise is sold as a Brand New Unopened Item.